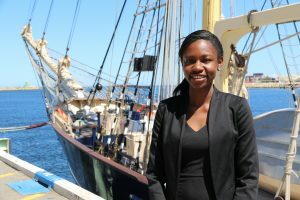 Tabitha Syokau (28) will learn new skills at sea on board the STS Leeuwin II Career Challenge voyage this December. The seven day Career Challenge voyage departing from Fremantle is for young adults and university students looking to push their limits and develop new patterns of thinking and behaviour. Throughout the week, participants will take part in all activities on board including joining night watches, climbing the 33m main mast, working aloft and taking the helm. 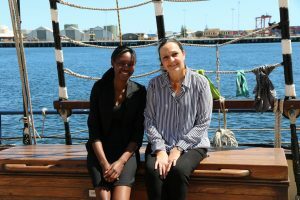 For the third year running, Edith Cowan University – School of Business and Law have offered a full scholarship for a Master of Business Administration student to take part in the voyage. This year’s successful scholarship recipient is Embelton local Tabitha Syokau, a second year Master of Business Administration International student. 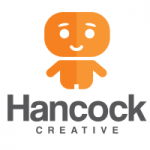 “What really intrigued me about Leeuwin’s Career Challenge voyage is how focused it is on making young adults do a lot of teamwork and get out of their comfort zone. Nowadays, teamwork has become a necessity for every organisation’s success, so I’m eager to build my teamwork skills and apply them in my future career,” Tabitha said. Tabitha studied a Bachelor of Commerce majoring in Procurement and Supply Chain Management in Kenya and made the move to Perth in July 2017. “I’ve met so many lovely people since moving to Perth, and I’m looking forward to making new friends on board Leeuwin in December,” Tabitha explained. When she’s not studying, Tabitha works as a support worker in an aged care facility and as a member of the Student Assistance with Learning Technologies (SALT) team at Edith Cowan University (ECU) Library. Tabitha also volunteers at Brightwater Aged Care group and at ECU as a Peer Mentor. “What’s great about Leeuwin’s Career Challenge voyage is it offers something different to other scholarships – adventure! I’ll be doing things I never thought I would, totally getting out of my comfort zone,” Tabitha said. “When I found out I got the scholarship I just started crying! My housemate thought there was something wrong, but I was just so shocked – I didn’t think they’d pick me! I can’t wait to get on board, meet new people, and push myself to the limits. I’m hoping I’ll walk off the ship with new found confidence and self-belief,” Tabitha said. MBA Director at ECU’s School of Business and Law, Jaime Yong, said the university was proud and excited to be supporting Leeuwin Ocean Adventure for the third year running. “We are so pleased our collaboration with Leeuwin Ocean Adventure has resulted in such unique and transformative experiences for our students,” said Dr Yong.